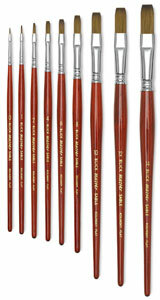 The full belly of the male Kolinsky hair in these brushes allows greater control and fantastic fluid capacity. The hair is hand-shaped with extreme care, glued into seamless nickel-plated brass ferrules, and triple crimped to the Italian hardwood handle, which is finished with five coats of lacquer. Your satisfaction is guaranteed. 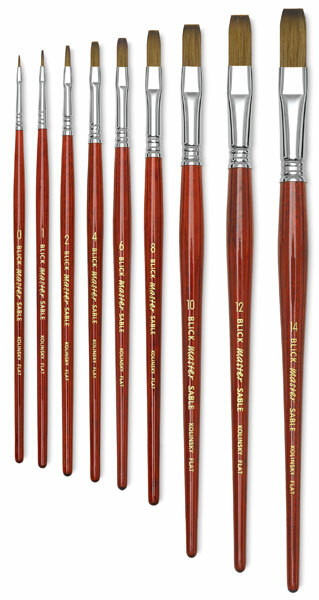 If at any time you are dissatisfied with the craftsmanship of any Master brush, return it to Blick for replacement or refund.